Map of Philae (Amilkia) island and floor plan of the Temple of Isis. 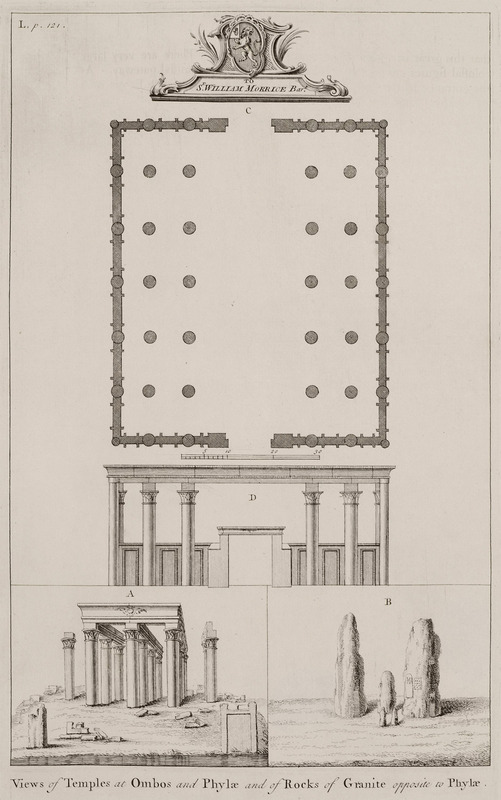 Floor plan and view of a temple on the Philae (Amilkia) islands (C, D). View of the Temple at Kom Ombo (Α). Granite rocks adjacent to Philae island (Β). 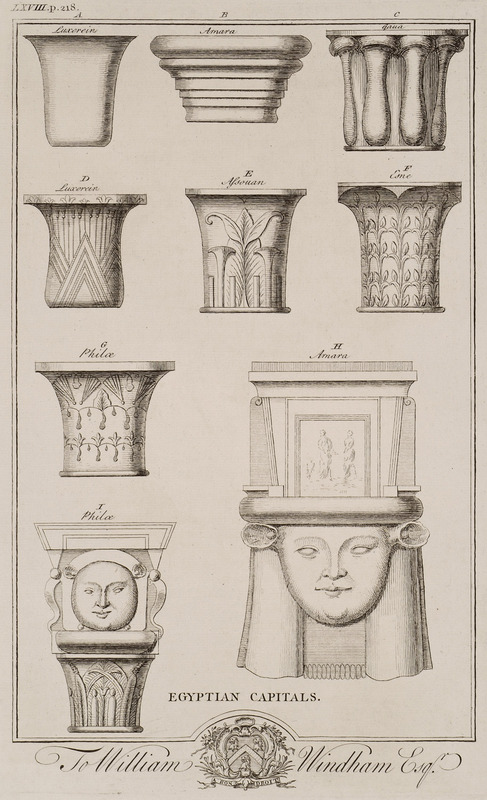 Egyptian capitals from Luxor, Amara, the Temple of Ptolemy IV in Qaw el-Kebir (anc. Antaiopolis), Aswan, Esna and Philae island. 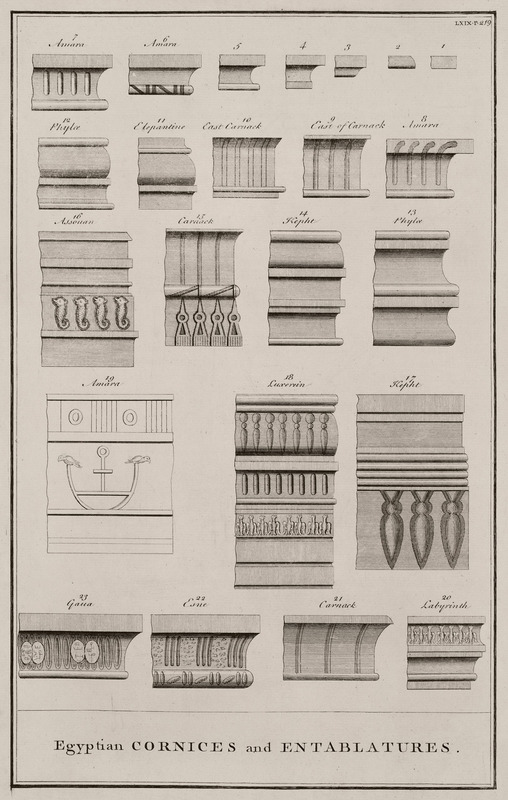 Egyptian cornices and entablatures from temples in Amara (Denderah), Philae and Elephantine islands, eastern Karnak, Aswan, Qift (anc. Coptos), Luxor (anc. Thebes), Qaw el-Kebir (anc. Antaiopolis), Esna, and the labyrinth close to Faiyum (anc. Crocodilopolis -Arsinoe – Ptolemais Euergetis).